you'll find 7 more countries that make up what is sometimes called Central America. 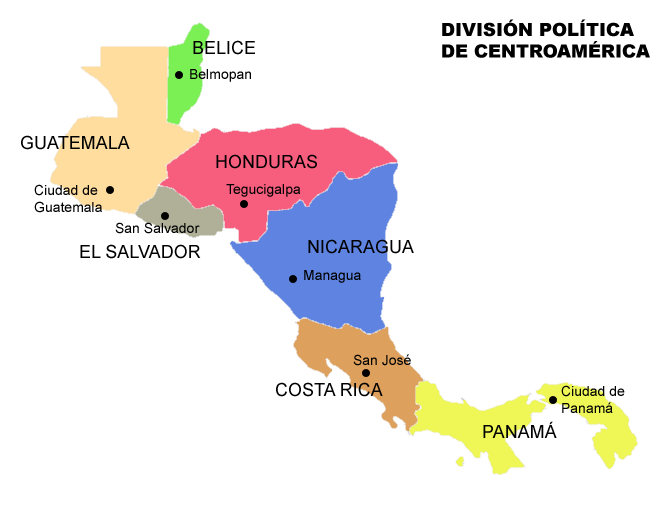 Belize, Costa Rica, El Salvador, Gautemala, Honduras, Nicaragua and Panama. and all lumped together are smaller than Mexico. and 5 of them have coastlines on both the Pacific and Atlantic ocean. which is a water way that lets boats go through. This is very helpful for travelers so they don't have to go all the way around South America!